2017 Update: Here were are in June of 2017 and triclosan and triclocarban are still being used in some soaps, toothpastes, detergents, paints, carpets. 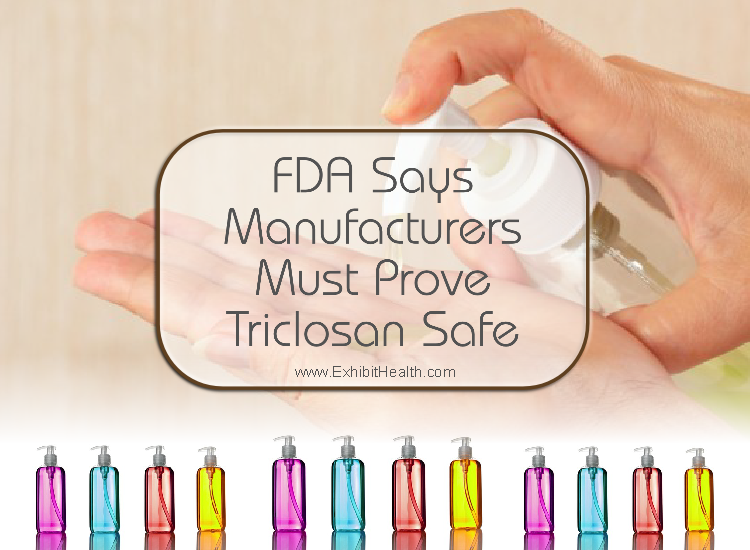 Scientists say the possible benefits in most uses of triclosan and triclocarban are not worth the risk. The statement, published today in the Environmental Health Perspectives journal, urges “the international community to limit the production and use of triclosan and triclocarban and to question the use of other antimicrobials.” The chemicals are used to kills microbes such as bacteria and viruses that make people ill. However, both chemicals affect animals’ hormone systems, causing reproductive and development problems. And there is nascent evidence that the impacts may extend to humans as well—having been linked to reduced growth of fetuses, earlier births, and lower head circumference in boys at birth. The compounds are used in an estimated 2,000 products but are being phased out of some uses. In February the EU banned triclosan in hygiene products. U.S. manufacturers are [still] phasing out triclosan from hand soaps after the Food and Drug Administration banned it last year amid concerns that the compound disrupted the body’s hormone systems. The FDA noted in the restriction that antibacterial hand soaps were no more effective than non-antibacterial soap and water at preventing illness. In 2010, seven years, ago, I wrote a blog article about the dangers of the chemical triclosan. The article was titled Is the Chemical Triclosan in Your Socks? and is included at the bottom of this update. Now, in January 2014, more than several bloggers have entitled articles that give the impression that the FDA is removing anti-bacterial soaps from the shelves…now. Unfortunately, this is not entirely factual. The facts, according to my research, are that the FDA has given manufacturers of anti-bacterial soaps and other products containing triclosan until 2016 [it’s now 2017] to provide proof of the safety of triclosan. If manufacturers cannot prove triclosan’s safety to the FDA’s satisfaction, the FDA will then require them to pull their products from the shelves. Most likely there will be no removal of anti-bacterial soaps containing triclosan from store shelves before 2016! The U.S. Food and Drug Administration (FDA), under a court agreement signed in November of 2013, will supposedly end decades of delay and decide how to protect consumers from triclosan, a suspected endocrine disruptor linked to reproductive and developmental harm in laboratory studies. The FDA first proposed in 1978 to remove triclosan from certain consumer products. But because the FDA took no further action, triclosan has continued to be widely used in antimicrobial soaps and other products sold in the U.S. In 2010, the Natural Resources Defense Council (NRDC) sued the FDA in U.S. District Court for the Southern District of New York to force the agency to issue a final rule. The parties reached a settlement and, under a consent decree signed in November of 2013 by U.S. District Judge Alvin K. Hellerstein, the agency committed to taking final action on triclosan used in consumer hand soaps by 2016 which will be 38 years AFTER the FDAs initial proposal! 38 years in which this toxic chemical has been used in anti-bacterial soaps as well as other everyday personal care products. August 10, 2014, research by SUNY-Downstate Medical Center in New York found that half of newborns in a Brooklyn-based study were exposed in the womb to triclosan and one-quarter of the newborns were exposed to traces of triclocarban, another germ-killing chemical in some bar soaps. The researchers also reported today that pregnant women with higher levels of butylparaben, a cosmetics germ-killing preservative, gave birth to shorter babies than women with lower levels. It’s not clear what health effects, if any, the shorter lengths would have on a child, Geer said. Those findings are preliminary and have not yet been published, so Geer declined to reveal details on the length differences. Studies have reported that triclosan and triclocarban may add to the spread of antibiotic-resistant bacteria, disrupt development of the brain and reproductive system and accumulate in plants and animals. Parabens, identified as estrogen mimics, have been linked to reproductive problems in lab animals, as well as allergies and skin irritation. Big-name manufacturers Proctor & Gamble and Johnson & Johnson have announced they are phasing out triclosan from their products. Many cosmetics companies market paraben-free products. Hand Sanitizer WARNING: In response to children ingesting alcohol-based hand sanitizers, some companies are marketing hand sanitizers that contain Benzalkonium Chloride (BAC). Several are marketing this synthetic biocide as being “natural and “non-toxic”. 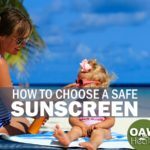 According to the Environmental Working Group, Benzalkonium Chloride is a Biocide, preservative and surfactant associated with severe skin, eye, and respiratory irritation and allergies, benzalkonium chloride is a sensitizer especially dangerous for people with asthma or skin conditions such as eczema. Benzalkonium chloride is found in many household disinfectants and cleaning supplies. Regular use of products containing antimicrobials such as benzalkonium chloride could leads to the development of resistant bacteria in homes and food processing facilities. EWG has rated it as a “4” which means it is a moderate hazard. 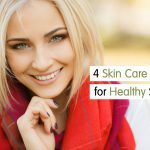 I do know from researching information that we do have about Benzalkonium Chloride that it is not healthy for the skin. Certainly it is proven to kill germs, but so does warm soap and water. Below, I am revisitng the article that I wrote back in 2010. Isn’t it amazing that the FDA has waited to long to require that manufacturers provide proof that triclosan is safe? Is the Chemical Triclosan in Your Socks? According to an FDA press release on April 8th, 2010 the FDA has decided to begin studies on the safety of Triclosan a common chemical ingredient in antibacterial cosmetics, soaps, body washes and other personal care products. Triclosan is also found in products such as clothing (marketed as Microban®), socks, kitchenware, furniture, and toys. Recent research on animals suggests that Triclosan may have negative effects on the endocrine system, which is responsible for secreting hormones that help regulate growth, mood, metabolism, etc. Past research has indicated that the chemical might help to create bacteria that are resistant to antibiotics. According to the FDA website, www.fda.gov, in January 2010, Rep. Edward J. Markey, chairman of the House Energy and Commerce Subcommittee on Energy and the Environment, sent a letter to the FDA requesting information about the status of FDA’s ongoing review of triclosan in consumer products. In responding to the Chairman’s letter, the FDA explained that, in light of animal studies raising questions about triclosan’s safety, the agency is engaged in an ongoing scientific review to incorporate the most up-to-date data and information into the regulations that govern consumer products containing triclosan. The FDA does not have sufficient safety evidence to recommend changing consumer use of products that contain triclosan at this time. Studies are not scheduled to be completed until the Spring of 2011 and in the meantime Triclosan continues to be included in a growing amount of products. Triclosan was introduced to the market in 1972 and was confined to hospital and health care settings. Triclosan has already been banned or restricted in other countries, including the European Union. 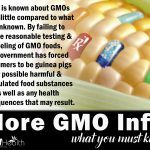 In the U.S., however, regulatory agencies have failed to act on this serious public health threat that has mushroomed into a very common chemical ingredient in many products. Not until 2005 did the U.S. Food & Drug Administration (FDA) conclude that antimicrobial soaps and sanitizers do not reduce the risk of illness and infection in the home; however, products made with triclosan remain on the market. In June 2006 it was reported by Johns Hopkins Univserity research that about 75 percent of the Triclosan that people flush down their drains survives treatment at sewage plants, with most ending up in sludge spread on farm fields. According to the research, every year an estimated 200 tons of two compounds; triclocarban and triclosan are applied to agricultural lands throughout the country. According to the Centers for Disease Control and Prevention, Triclosan is found in the urine of 75 percent of the population. The chemical has also been found in about 60 percent of U.S. streams. Below is some research done on the effects of Tricloson on the body. DISCLAIMER: Due to public pressure, many major manufacturers have quietly begun reformulating their products without triclosan. Product formulations may change without notice. Below is a small sampling of products formulated with, or used to be formulated with triclosan and is not to be considered a comprehensive list. Remember to always refer to product labels to determine whether triclosan is contained in your product. Some retail outlets may still carry older formulations. 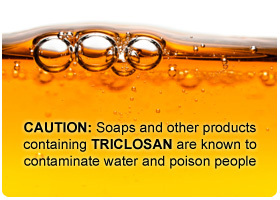 Look out for labels that state: “antimicrobial protection.” Some antibacterial soaps may use triclosan’s cousin, triclocarban, in place of triclosan. 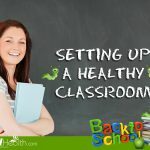 Environmental Health News. 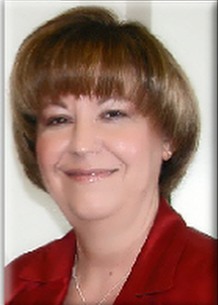 Lindsey Konkel. Germ-killing chemicals common in pregnant women, newborns August 10, 2014.